Everyone loves to receive a gift. The anticipation of opening up a beautifully wrapped package and peeking at what’s inside has always brought smiles to faces. Imagine now what it would be like if every time you opened that box you weren’t just finding a gift, but opening up a portal to a different universe of experiences. A climb to a mountaintop, an imaginary land filled with fantastical creatures, a deserted island or front row at Fashion Week. Now you can experience all of these things from the comfort of your home. I acted as the lead concept and UX designer on this project, establishing both the look and feel of the world as well as working with the developer to create a smooth, natural experience. 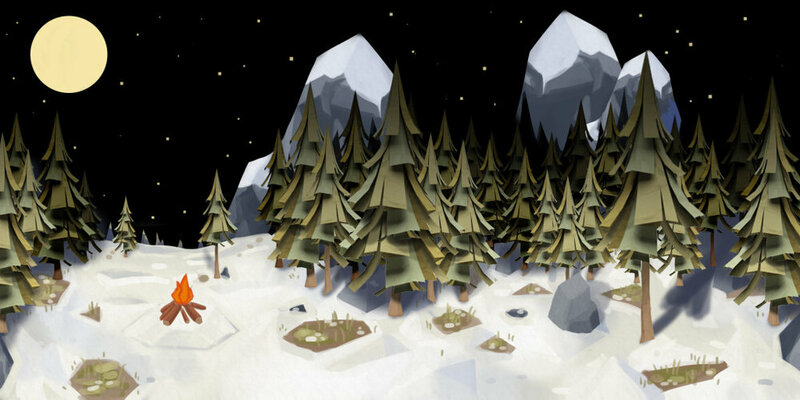 The concept design focused on making a inherently empty and vast environment feel cozy and warm and to create a world that felt real despite its low-poly papercraft look. 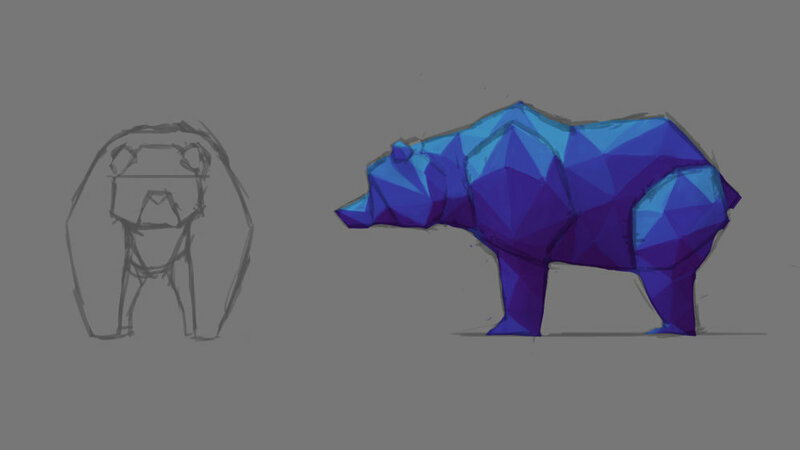 When designing the bear, it needed to be cartoony and characteristic while still being able to move in a very natural way. I worked closely with Thomas Huang (our 3D Artist and Animator) to design a bear that wouldn’t run into issues animating with the low-poly style. When we began the project we prototyped an environment with very basic lighting. Once I was able to see the environment in a headset I started to develop the look and feel. 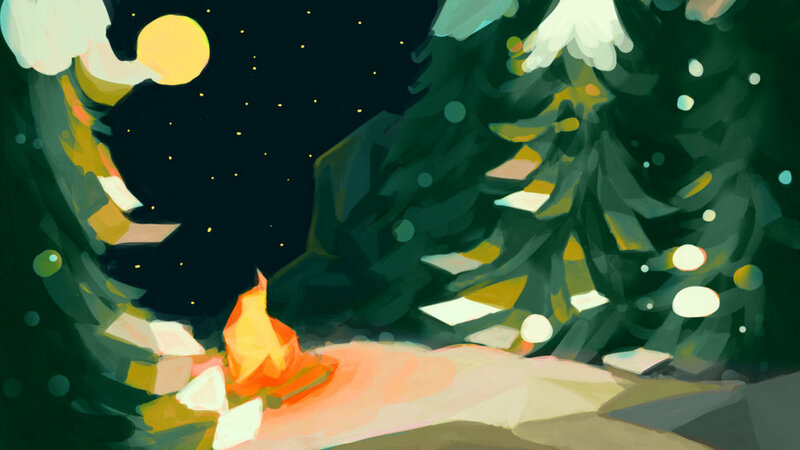 The above pieces of concept art show the low poly papercraft style and the oil painting inspired colour palettes. 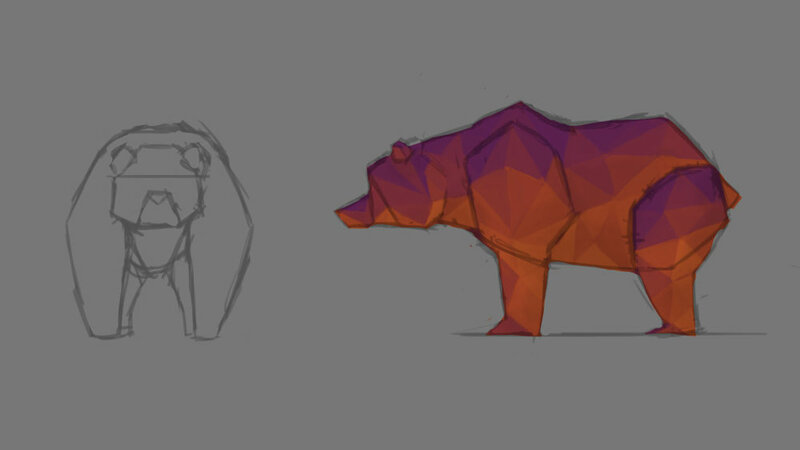 When working on the bear design I had to strike a balance between realism to help with the animation, and exaggerated to add character and make the bear's presence feel less imposing and unfriendly. I worked closely with Thomas Huang (our 3D Artist and Animator) to design a bear that wouldn’t run into issues animating with the low-poly style.